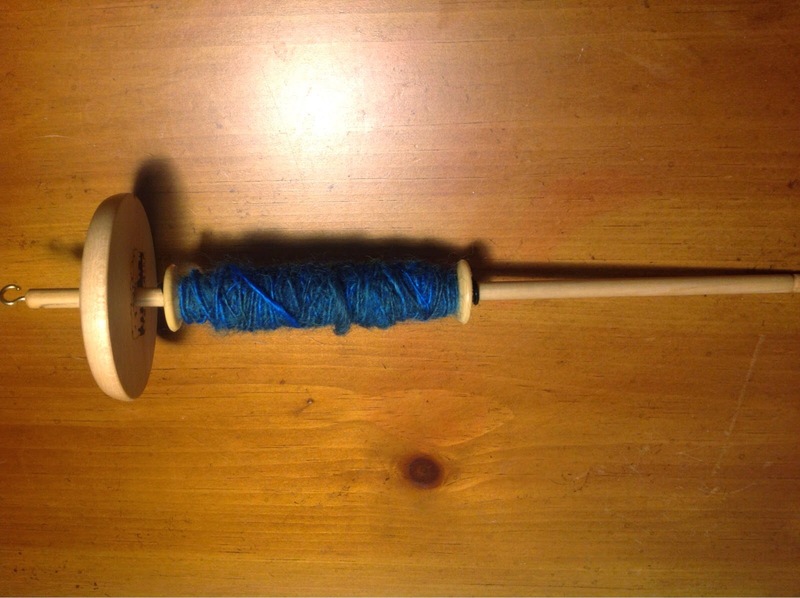 The Reluctant Knitter: Make your own Modular drop spindles ? Another is by a person in the UK. The web site is http://www.almostalien.com . The modular spindles there actually use a bobbin. Yeah! Unfortunately they are also expensive. I like the bobbin idea because I could use my current lazy Kate to ply with.... As a type of test I might try getting a piece of rubber tubbing to use to hold a plastic bobbin in place on one of my current drop spindles to see if it will still work as a spindle with the bobbin on. 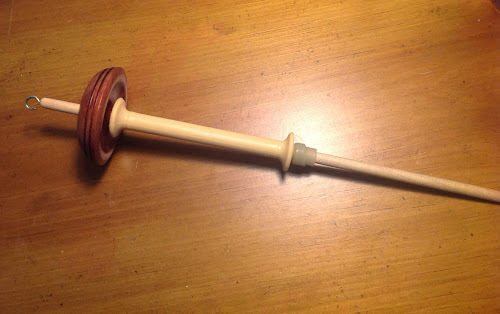 Here is another try using o rings. These are the very small ones. I find I like it best with two prints one on the top and one on the bottom. 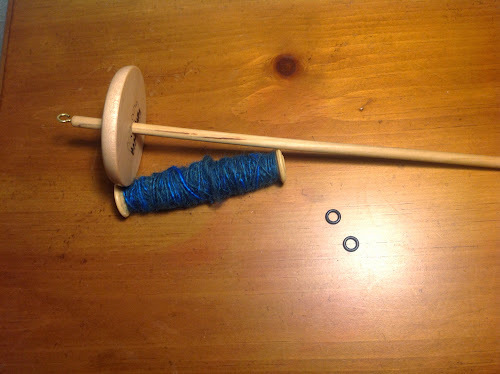 Then I use the one on the top and kind of push the bobbin over it. 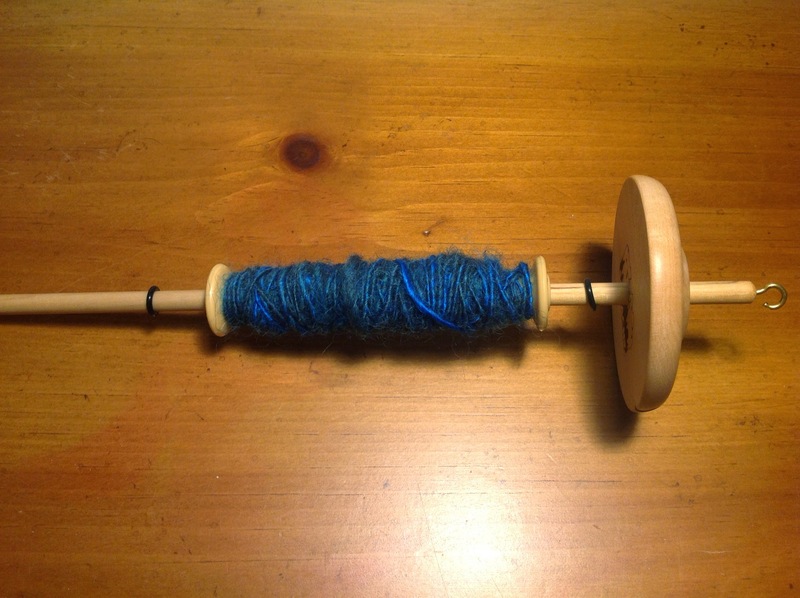 This will help to make it so the bobbin does not rotate.